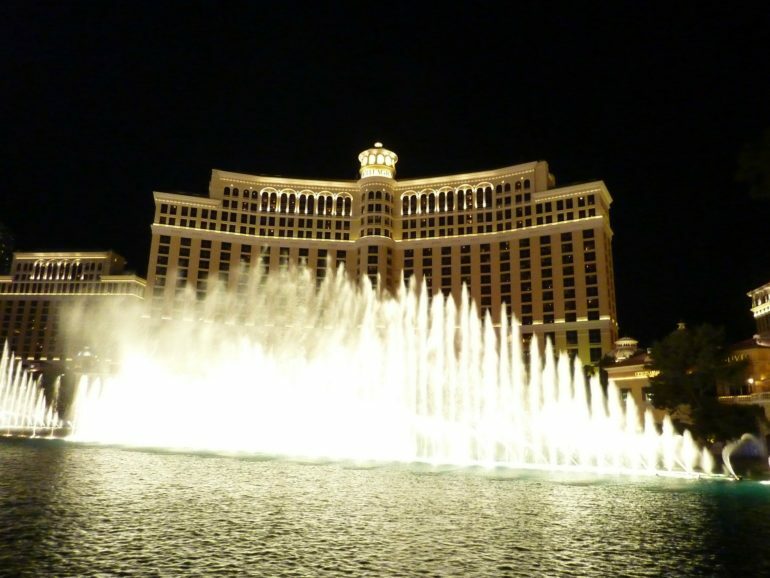 The Bellagio in Las Vegas is possibly the closest thing America has to a Game of Thrones castle, so it’s perhaps apropos that the hotel’s famous fountain was the host of the latest high-profile promo for the show’s upcoming final season. The fountain show was produced by WET Design, with a hand from the show’s composer, Ramin Djawadi, per Entertainment Weekly. It will run through April 13, the day before the series returns on HBO. Really, fans of the series are getting every conceivable Game of Thrones tie-in except for a book. George R. R. Martin’s The Winds of Winter remains delayed indefinitely. HBO has always gotten creative with Game of Thrones promos ahead of the show’s new seasons. At the South by Southwest festival back in 2015, rickshaws in the shape of the Iron Throne ferried festival-goers around Austin. Somewhat less successfully, back in March of 2017, HBO used flamethrowers to melt a block of ice in order to reveal the premiere date of the show’s seventh season, but the whole matter took a lot longer than planned, leading to some mockery from fans who spent an entire afternoon watching it on Facebook Live. The new season of Game of Thrones will consist of 6 episodes, depicting the final battle between humanity and White Walkers, as well as the final battle for the Iron Throne. Director Miguel Sapochnik, a specialist when it comes to the show’s intricate battles, will direct the 3rd and 5th episodes. While the first two episodes are less than an hour, the remaining four are all around 1 hour and 20 minutes. Once Game of Thrones ends, however, a spinoff series is on the way. Set centuries before the original show, the series features a cast led by Naomi Watts, and will debut in 2020 at the earliest, Entertainment Tonight says.